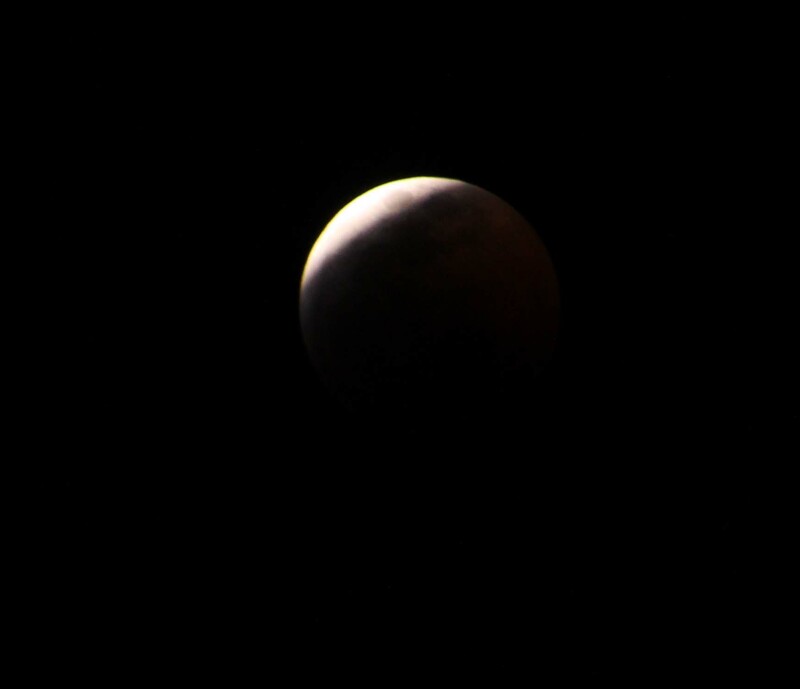 Sometimes working nights can be a really cool thing, and tonight was one of those nights. First it was very slow since it was a Sunday and with minimal interruptions I got to watch both playoff championship games. I have been a Patriots fan since I initially moved to New Hampshire in 2001, and tonight’s game was a real nail biter. I know that many folks would love to see someone else win for a change, but you have to admit they give great football!! Love that team and super excited to be going to the Superbowl!! 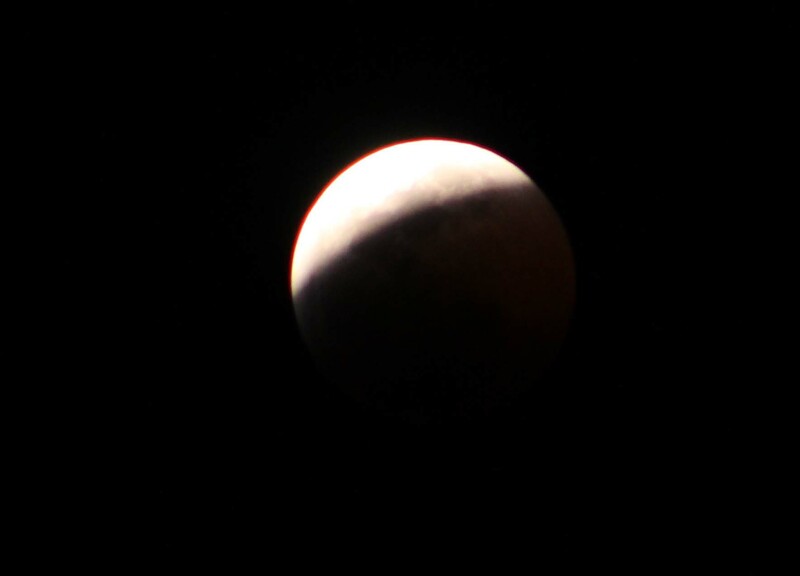 The timing of the game ending was just perfect, because that’s when the lunar eclipse started. 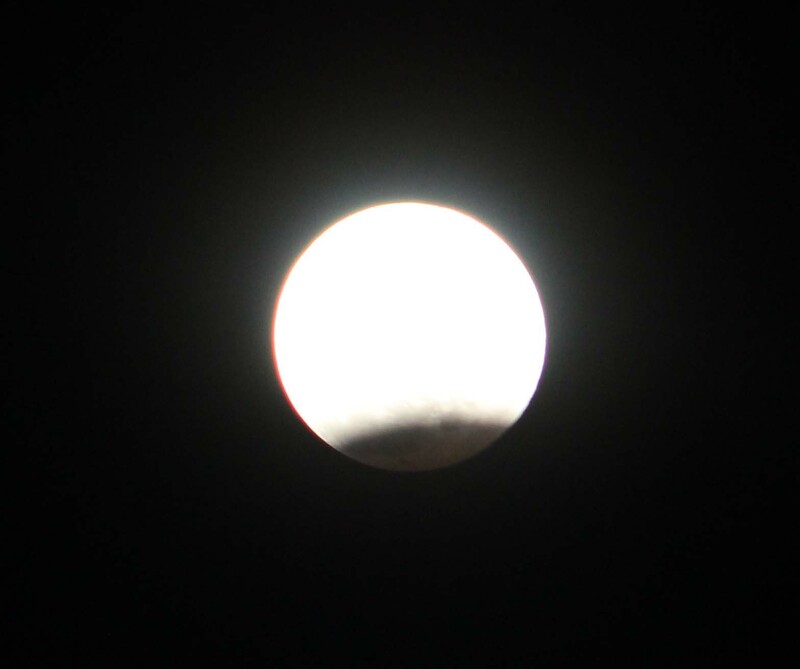 It was the first totally clear night in several days and there is perfect visibility of the moon. 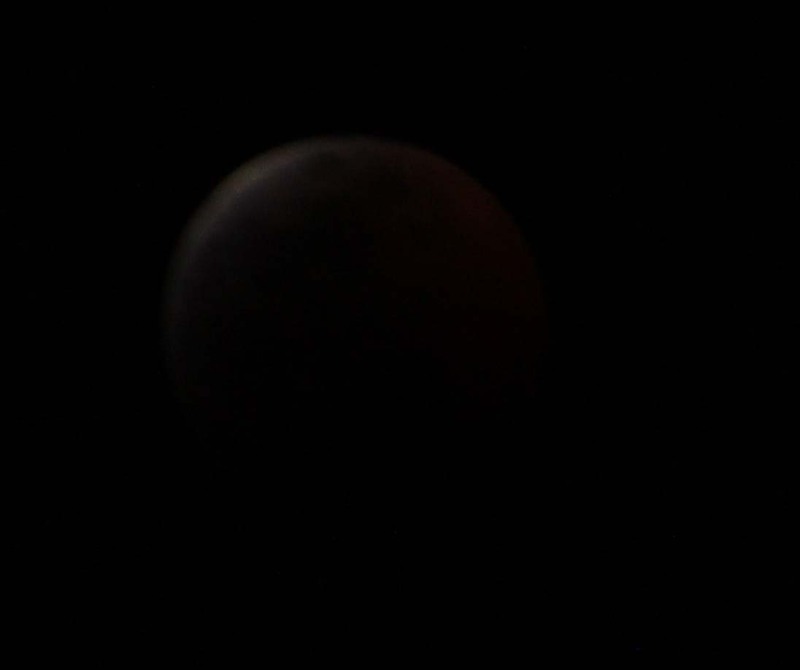 I honestly can’t remember seeing a lunar eclipse this clearly ever before. What else is going on? Things have been busier at the gate as the drilling phase comes to a close and we are still waiting to hear back on when/if the gate up north will be available. Since I finished my book I have have some extra time/energy and have been trying our several new recipes. Since I collect old recipes I tend to get a group of them and this is a good time to really try to narrow down which one (or combination) is the best. 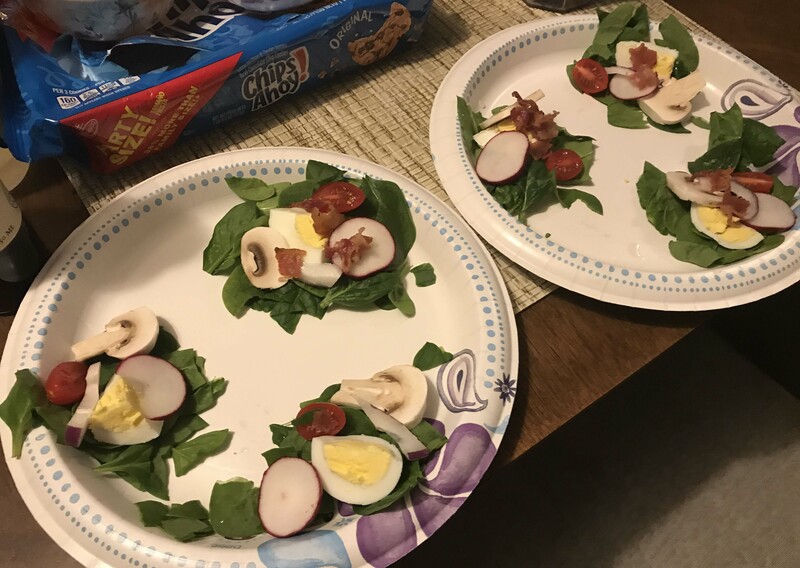 I’ve wanted a spinach salad recipe for a while so one slow night I made numerous mini spinach salads and then tried a variety of dressings to see which one I liked. That was pretty fun. I’ve also been watching Top Chef and Top Chef Masters on Hulu and getting lots of inspiration from those shows. I seem to be happier when I have some sort of a project going, and after finishing the book I have a bit of a void I am trying to fill. I also heard back on the consulting job finally, and unfortunately I didn’t get the position. It was down to two of us, but the other person had more Agile experience, and although I thought the final interview went well, that is an area where my skills are not as strong. That’s one of the problems with leaving the workforce like we did. Skills get rusty and although you can keep up to date on latest trends through online education, you miss practical work experience. I get it, but am pretty bummed, because it would have worked perfectly with our schedule. On the plus side, I did get pretty far along in the process so it appears future opportunities are not completely closed to me. And another piece of good news, Lee picked up a week’s work in late March in Phoenix working a live corporate event, which is a nice opportunity for him to keep a hand in his specialty. Anyway, not much else. 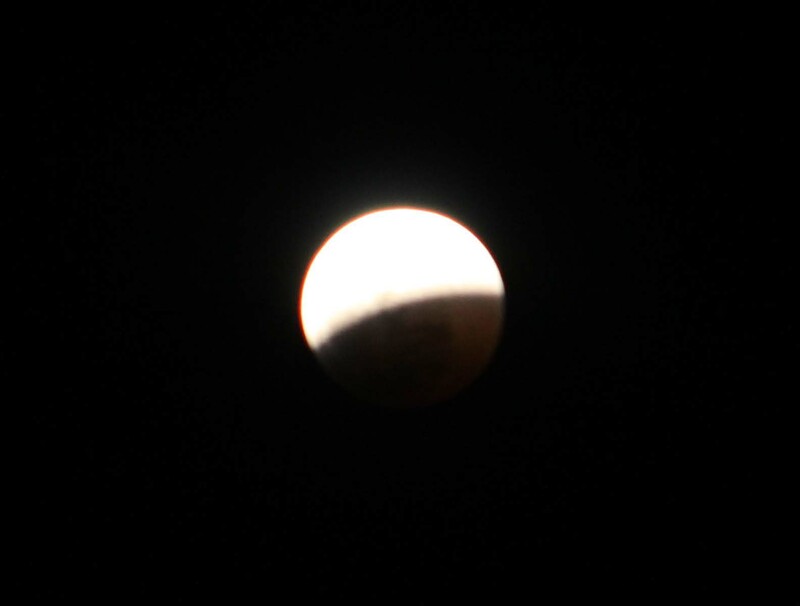 Mainly just checking in to share pictures of the eclipse. We are two months into gate guarding this season, and this is the point where things start to be a bit of a grind. We were offered a day off, but there isn’t much to do in the area that we are interested in and we hate to lose the money, so we are just working straight through. The only other thing is Lee and I switched our shifts a little bit and now we are working 3-3. That 3pm to 4pm hour is pretty busy and a rough way for Lee to end his day, so I am taking that now. Evens out the workload a little bit. I know I am not writing about the daily job, but for those of you who are interested in a more detailed account of gate guarding I recommend reading our daily blog posts from the first time we gate guarded. Things haven’t changed that much since then. You can start those here. Purchase our ebook telling the story of how we became full time RVers.